Everyone makes mistakes. It’s part of life. The gym just happens to be one of those places where mistakes happen all of the time. Today’s post is all about the most common workout mistakes you’re probably making. It’s very unfortunate when I see trainees dedicate the time to exercise, but fail to make any real progress towards their goals. Sadly, this happens far too often. 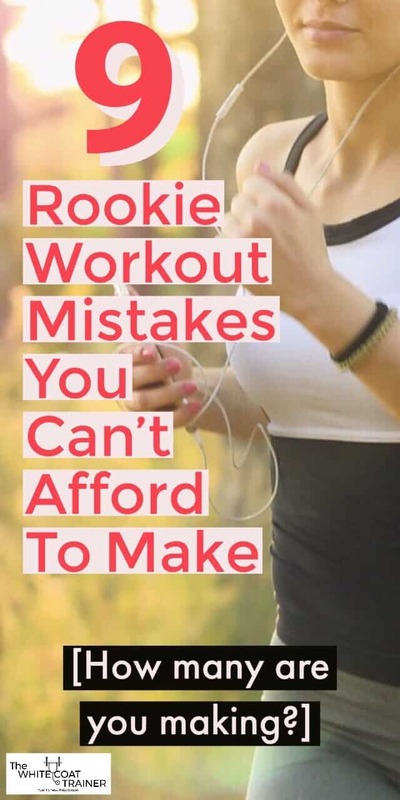 Here are the top 9 rookie mistakes most people make in the gym that you must avoid. Oh yeah, don’t feel bad. For years, I made almost all of these gym mistakes. I’ve mentioned this concept before, but I think that it is always worth repeating. There is a tremendous difference between someone who is working out and someone who is training. You go to the gym, and you run on the treadmill for an arbitrary amount of time. Then you go to the free weights section and do a random assortment of arm exercise, probably biceps, followed by shoulders. You do a few sets, get bored, and then call it a day. You decide on training chest, and then you perform the ever popular bench press. You go as heavy as you could. You feel a strain in your shoulder, so you move on and do other random exercises. No plan is made as to when you will train these muscles again, and in what manner. Have you been in either of these situations? Mark Rippetoe has a great piece in the Huffington Post about making the distinction between training and working out. You cannot expect to have measurable progress if you simply workout and do not have a plan. Every time you step foot in the gym, you should know what you’re training that day, why you’re training it, and how much you’re training it. This way, you can have an objectively measurable way to determine if you are getting closer to your goal or further away from it. Maybe you’re training so that you can bench press 250lbs or squat 300lbs. Or perhaps you’re training so that you can run a 400-meter sprint in 60 seconds or less. Or maybe you simply want to have more visible muscle mass. Either way, you should know why you’re at the gym, and your actions should be taking you closer to those goals. This leads us to point number 2. There are some instances where ‘winging it’ works very well, but improving your fitness is usually not one of them. Not only should you define what your goals are, but these goals need to be very specific. But, what if you want to get in better shape but you don’t have any specific fitness related goals? Here are some of the best goals you could ever make. This is the only way you should set your goals. Check out Actionable Ways To Achieve Your Fitness Goals to learn more. Establish your goals early, so that you can set the habit of accomplishing what you set out to do. One quick way to injure yourself is to walk into a gym and immediately start sprinting on a treadmill or lifting heavy weight. I have seen this in every single gym I have been in for the past 10 years. It still boggles my mind. The benefits of warming up prior to any physical activity have been clearly documented, over and over. A warm-up increases blood flow to your muscles and helps lubricate your tendons, ligaments, and joints. This WILL improve the physical capabilities of your musculoskeletal and nervous systems. Everyone is busy (and if you’re reading this, you’re probably busier than the average person). The most common reason why people skip warm-ups is that they take too long. Warmups don’t have to take a long time; in fact, they can be specifically tailored to the activity that you are about to perform. Heck, if you are really low on time you can even perform a quick circuit of body-weight movements to get the blood flowing. I used to train for 2+ hours a day. This was back when I had a lot of time on my hands, and I was infatuated with exercise. I can’t even imagine spending that amount of time in the gym. To experience the benefits of exercise, you don’t have to sacrifice this much time. If you work 80 hours a week, it is downright impossible. Unless you are competing for a specific sport, and exercise is your number one hobby, you should not be in the gym for more than 60 minutes a day. The days of performing 8 exercises per day are over. Especially 8 exercises for the exact same body part. You can get a really good training session that will do miracles for your fitness in 30 minutes. It begins with training smart and efficiently. You can utilize High Intensity Interval Training mixed and matched with Strength Training with compound barbell movements. We also have a Workout Template for Busy Individuals which is a comprehensive training program that can be done in 35 minutes a day. Let’s face it, everyone loves arms. There isn’t a single gym in the world where people aren’t doing bicep curls. Sadly, people train their arms way too much. Doing 8 variations of bicep curls will not improve your health or fitness in any way. As we have mentioned before, bicep curls and other isolation exercises will not cause a great deal of hormonal response from your body. There’s nothing wrong with performing arm exercises, (we have written an entire post on the Best Way To Build Bigger Arms) but keep the isolation work to a minimum. Isolation exercises should be your supplement, not your entree. Do pull-ups, do push-ups, do presses. These exercises will improve your fitness, and train your arms sufficiently. We recommend at least, an 80/20 split. 80% compound exercises, and 20% isolation. If you are an absolute beginner it can even be closer to 90/10. We have news for you. Long hours of cardio is not as good for you as you may have thought. Doing slow steady state cardio (You know the kind where you place a towel over the treadmill screen and just run for an hour or more) is one of the worst investments you can make with your time. We have already described that this type of cardio does very little to burn calories, and there are much more effective ways to do aerobic exercise. If anything, prolonged steady state cardio can decrease your lean muscle mass, which is your body’s secret weapon in fighting fat. In addition, research is showing that chronic endurance training such as the kind needed for marathons can be detrimental to your heart as seen in this piece from WebMD. If you absolutely love cardio and you have been doing it for years, and it helps you mentally and emotionally, then keep doing it. But if you are doing it because you think you have to, then you can stop. You are much better off walking more, performing occasional High Intensity Interval Training and working to improve your lean muscle mass. Truth be told, we do not understand muscle soreness very well. Delayed Onset Muscle Soreness (or DOMS) occurs anywhere from 12-24 hours after exercise and it can last anywhere from 2-5 days. We think that soreness is due to micro-trauma that happens to the muscle on the eccentric (negative) portion of the lift. Please do not mistake soreness as an indicator of anything. Delayed soreness does not mean you got a good workout. Nor does the lack of soreness indicate that you didn’t get a good workout. DOMS will occur if you haven’t trained those particular muscles in a while. Similarly, it will go away and stop happening once you continue to regularly train those same muscles. And no, you should not workout looking to get sore. One sure-fire way to leave a training session in pain is to perform any exercise with horrible technique. Yet everyone does it all day, every day. Of all the training mistakes we have discussed thus far, this one can actually have the worst consequences. Every one of our joints has a specific range of motion that requires careful recognition, and any deviation from these patterns will cause excessive wear and tear to your bones, tendons and ligaments. Exercise is meant to strengthen movement patterns that our bodies recognize as useful positions. This is how exercise keeps our body healthy. If you properly align your joints, you will maximize the force production that your muscles are capable of, and minimize your chances of injury. Years and years of improper movement patterns is why osteoarthritis is so prevalent in our society. You can see wear and tear even in individuals who have never set foot in a gym! How? 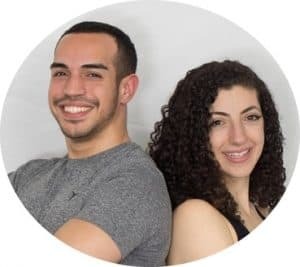 They go through their lives performing activities of daily living (walking, sitting, squatting, bending down) with poor mechanics leading to compounding trauma. Learn how to perform the 4 key functional exercises, and utilize these movements both inside and outside of the gym. Refer to our tutorials section which goes into the correct technique of these exercises and common mistakes to avoid. Conventional wisdom leads us to believe that we need to perform sit-ups in order to adequately train our abdominal muscles. In anatomy class, we learn that the rectus abdominis functions to flex our torso. Also, performing sit-ups causes a lot of burn, so they must be working, right? Unfortunately, that is not the correct way to train the abs. If you remember what the “secondary “function of the rectus abdominis is, they also serve to keep your torso erect, and stable. It’s unfortunate that this is usually listed as a secondary function. So what does this have to do with training the abs? It means that our core musculature is meant to keep our spine properly aligned under any type of disturbance. In other words, we need to PREVENT spinal motion. Each time we perform sit-ups, we put our spine into unnatural flexion, creating micro trauma. There are no functional circumstances in which we need to put our spines into that position. So what is the appropriate way to train your abs? Core training should include exercises that prevent motion in our torsos, including flexion, extension, lateral flexion and rotation. Check out 9 Horrible Exercises You Should Never Do to learn of other exercises that are a waste of time. How Many Training Mistakes Are You Making? I made all of these mistakes for several years. If you want to improve your health and fitness, then avoid these common blunders. With most of these gym mistakes, you are at best wasting your time, and at most putting your body at risk. That is why we created The WCT Strength Program, to bypass all of these mistakes and many more. It is a ready-made 15 week workout program that outlines everything for you. Pick up your copy today, go forth and conquer! Are you making any of the mistakes listed above? Do you know anyone who is making any of these? Send them this article. What other training mistakes have you made or seen others make? I’ve been victim to some of these, especially time in the gym. What about cool+down and stretching? It’s often ignored. Stretching is definitely an important component as well. I recommend that people perform at least 5 minutes of stretching either first thing in the morning or right before bed most days of the week.